The autonomic nervous system coordinates involuntary control of viscera and other tissues throughout the body, with the exception of skeletal muscle. This branch of the central nervous system, organized into parasympathetic and sympathetic divisions, integrates efferent and afferent fibers that regulate the activities of the majority of organs, glands, and smooth musculature found in the body. The presynaptic cell bodies of neurons composing both categories originate in the gray matter of the spinal column, but are classified by fundamental differences. 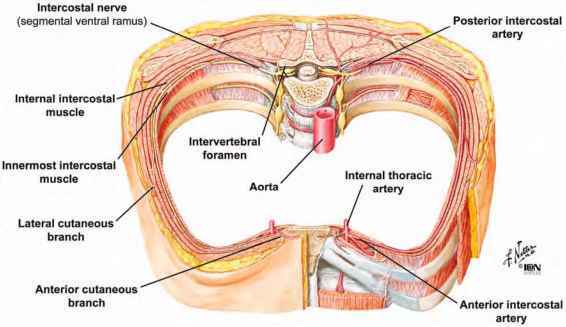 Anatomically, the origin of the sympathetic (thoracolumbar) division of the central nervous system lies between the first thoracic (T1) and the second or third lumbar section (L2 or L3). in contrast, the exiting fibers of the parasympathetic division (craniosacral) originate from both the medulla oblongata and the sacral portion of the spinal cord (S2 to S4). rotransmitter, whereas acetylcholine is the chief transmitter found throughout the parasympathetic division. The primary physiological response induced by each respective neurotrans-mitter is also a useful way to categorize the divisions of the autonomic nervous system. Such classifications are important considerations when investigating the autonomic nervous system regulation and function of the heart.